Virginia’s first session of 2019 starts on Wednesday, and lawmakers on both sides of the aisle are mapping out what some of their priorities will be in the coming year. Republicans currently hold slim majorities in the Senate and the House of Delegates and Democrats have the governor’s seat. One of the main fights in recent weeks has come over tax policy. Republicans have been fighting against an inadvertent $1.2 billion tax increase coming into effect over the next two years because of a change in the federal tax code. Democratic Gov. Ralph Northam, on the other hand, wants to keep the money and spend it. 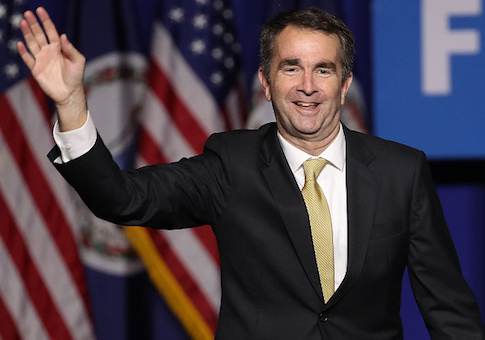 Northam has proposed a two-year budget that assumes the revenue boost caused by the tax increases. "Our top priorities for 2019 are providing tax relief for working families, slowing the massive growth in health care costs, making college more affordable, and keeping students safe in schools," Parker Slaybaugh, communications director for House Speaker Kirk Cox, R-Colonial Heights, told Watchdog.org. "Unfortunately, another priority of ours is stopping the extreme liberal agenda that has been announced over the past few months," he said. "Democrats in the House have proposed tax increases, legislation that could mandate union membership in order to get a job, a radical proposal that will ban the use of fossil fuels, and not to mention their attempt to take away rights from law-abiding gun owners."